Training Tools, Tips & Resources - Training resources blog by Corexcel. Your connection to everything related to training. Corexcel just added 2 new nursing CEU courses to our growing list of online, self-paced courses. Both courses surround diabetes mellitus, a common, growing public health concern. Diabetes Mellitus Fundamentals: A Review and Current Update provides the foundation of quality care for patients suffering from diabetes mellitus. 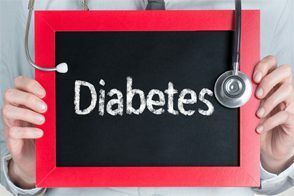 The course includes explanations of normal and abnormal physiology, pathophysiology of diabetes, various types of insulin, a comprehensive list of references, links to helpful webpages and resources, and learner activities to test your retention of knowledge. Explain the normal physiology of glucose metabolism. Explain the pathophysiology of uncontrolled/undiagnosed DMT1. List the signs and symptoms of uncontrolled/undiagnosed DMT1. List the signs and symptoms of uncontrolled/undiagnosed DMT2. Explain the differences between DMT1 and DMT2. Describe the correct procedures (American Diabetes Association’s recommendations) to be used to diagnose diabetes. List risk factors for diabetes for adults. 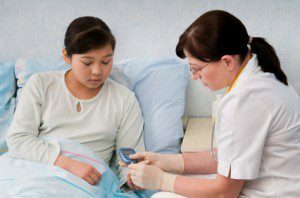 List risk factors for diabetes for children. Recognize the role of waist circumference in screening for metabolic syndrome (a condition related to DMT2). List the four cornerstones of control of diabetes. Explain the effect each cornerstone has on blood glucose. Diabetes Mellitus: Management of Diabetes provides guidance on the management of diabetes mellitus. The management of diabetes mellitus is constantly changing based on evidence-based research and multi-faceted treatments. The course covers recent scientific research, glossary of terms, behavioral objectives and tips for developing an education plan, and learner activities to provide learner feedback when appropriate. List the six food groups within the Exchange Program. List four guidelines of nutritional management of diabetes. Explain the process and rationale for using carbohydrate counting to develop an effective nutritional plan. Recognize the positive effects on blood glucose control, cardiovascular health, weight control, and stress reduction provided by regular exercise for the individual with diabetes. Describe the safety precautions the individual with diabetes should take before engaging in exercise. Name the drug of choice for the patient diagnosed with pre-diabetes and/or newly diagnosed with DMT2 who qualifies for oral medication treatment. Describe the characteristics of the categories of drugs used to treat DMT2. Describe each type of insulin based on activity profiles – onset, peak, and duration. Compare and contrast treatment algorithms for management of diabetes type 2 (DMT2). Explain the recommended interventions to control blood pressure and lipids in persons with diabetes. Explain why self-blood glucose monitoring provides more reliable information about current blood glucose levels than urine testing. Explain why regular physical examinations, lab work, and retinal evaluations are necessary components of the diabetic individual’s monitoring activities. Describe appropriate behaviors for the diabetic to take when ill or unable to eat. Identify two mechanisms by which a diabetic can inform others of a diabetic condition if unconscious. Identify the major long-term complications of diabetes and explain the current thinking about etiology. Option 1: Online Course: Our online nursing CEU courses are available 24/7/365. Simply review the online material at no cost and pay when ready to grade your exam. You will be able to print your certificate automatically! Option 2: Read Offline: Click here to read the course offline. Simply print the material and review it on your own time. Once you’re finished, mail/fax us the registration form, payment information, and exam. We’ll grade the exam and mail you a certificate right away. Corexcel is also an approved Florida provider # 50 – 452 (Florida course completions are submitted to CE Broker typically within 24 hours but guaranteed to be reported within 5 days). Corexcel is also an approved California provider #CEP 13687. Corexcel has been approved as an Authorized Provider by the International Association for Continuing Education and Training (IACET). New Effective Communication in Business Courses Now Available! We just recently added 3 brand new courses to the Business Communication course list! Our online, self-paced courses in effective communication can be taken individually or as part of our communication certificate program! Register today and receive access to your courses instantly! Whether you’re helping an employee develop his/her communication skills or looking to improve your own; our online, s elf-paced courses are designed to help adult learners of any profession communicate more effectively. 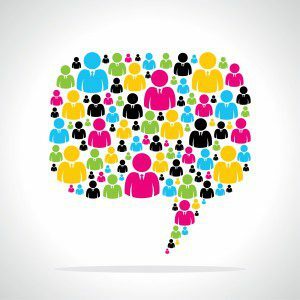 Discusses the need for effective communication within groups. Learn how to modify communication strategies, hold effective meetings, and work effectively with others in remote settings. Focuses on the writing process including understanding the audience, outlining techniques, overcoming writer’s block, making revisions, and more. Covers everything you need to know about effectively using emails, memos, and letters in a business setting. Helps learners organize, create and revise effective business presentations including developing a summary slide and adding visual appeal. Helps you develop the skills you need to become a confident and successful public speaker, including conquering speech anxiety, answering difficult questions, and handling uncomfortable situations. *Save 10% on our Communication bundle with discount code Success. Hurry! Offer ends 11/7/14. 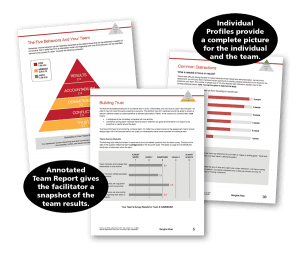 We’re excited to announce that The Five Behaviors of a Cohesive Team™ individual and team assessment program is now available! The Five Behaviors of a Cohesive Team is a new assessment-based program that helps teams identify what behaviors are standing in their way of success. The program provides an effective, constructive platform for building a cohesive team starting with the foundation of building trust. 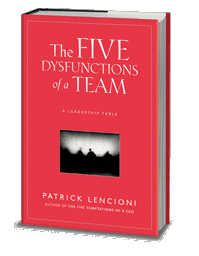 The brand new assessment and facilitation materials are a result of a unique partnership between Wiley’s Workplace Learning Solutions Group and Patrick Lencioni, author of the best-selling book, The Five Dysfunctions of a Team. Powered by Everything DiSC, team members learn more about their DiSC styles, while the facilitation program guides them through The Five Behaviors model. For more information and pricing on The Five Behaviors of a Cohesive Team, please click here or contact Corexcel at 1-888-658-6641 or learn@corexcel.com. Corexcel is proud to be an Authorized Partner of The Five Behaviors of a Cohesive Team, a Wiley Brand.